Flat track roller derby is one of the country’s fastest growing sports. What started as a single league in Austin, Texas, a couple of decades ago has grown into an international phenomenon, with nearly two thousand leagues around the world. Rollergirls captures the spirit of the game, which is poised to become an Olympic sport, and highlights the women who have become known as the godmothers of modern-day roller derby. Documentary photographer Felicia Graham takes readers on a visual tour of more than 160 black-and-white images, showcasing the confidence it takes to become a rollergirl and the camaraderie that develops among the players. Graham has been photographing the Texas Rollergirls on and off the track, in Texas and on the international circuit, for more than a decade. Spending untold hours with the league and collecting thousands of photographs of pivots and blockers, adoring crowds, and the sweat of the bench, she has created a visual narrative of women who embody the freedom of flying around the track. 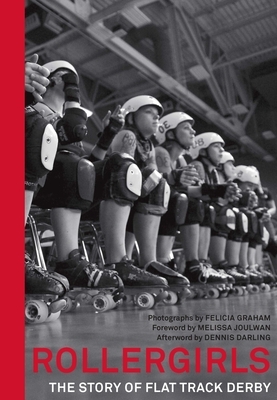 In these pages, readers learn how regular girls become rollergirls—determined, athletic, intimidating, and powerful, all on their own terms. Grab a copy and come by the store on Friday, December 7 at 7PM to see Felicia Graham speak and sign copies. As the highway that opened up the West to millions of travelers since its construction in the 1930s, Rte. 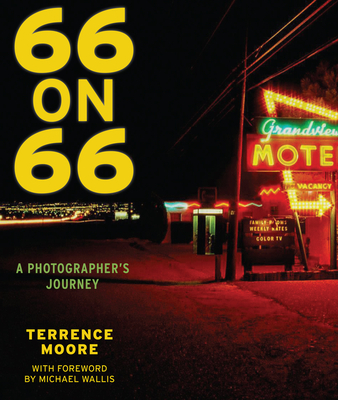 66 is an iconic road that has been celebrated in story, song, films, and more. Justly known as “The Mother Road,” this highway became the vital path for travelers, tourists, and fortune-seekers. However, after the advent of the superhighway and the Interstate system of the 1950s, Rte. 66 gradually fell out of use, leaving behind fascinating relics of a bygone era—roadside attractions, marvelous kitsch, storefronts, and the great neon artifacts that still light up the night along the highway. Terrence Moore has traveled and photographed this road since he first drove it with his parents in the 1960s. Though he has covered this subject for more than 40 years as a professional photographer, never before has his work been collected in book form. This volume highlights 66 of his finest 35mm color film images—a stunning chronicle of this storied road in states from Missouri to California. Terrence Moore shares his journey with us on Wednesday, January 16 at 7PM. Stop by and snag a signed copy of this beautiful photo book! 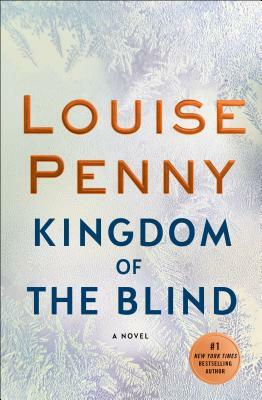 Kingdom of the Blind is the new Chief Inspector Gamache novel from #1 New York Times bestselling author Louise Penny. When a peculiar letter arrives inviting Armand Gamache to an abandoned farmhouse, the former head of the Sûreté du Québec discovers that a complete stranger has named him one of the executors of her will. Still on suspension, and frankly curious, Gamache accepts and soon learns that the other two executors are Myrna Landers, the bookseller from Three Pines, and a young builder. But none of them had ever met the elderly woman. Come by and grab this thrilling detective novel, on our shelves now. N. K. Jemisin is one of the most powerful and acclaimed speculative fiction authors of our time. In the first collection of her evocative short fiction, Jemisin equally challenges and delights readers with thought-provoking narratives of destruction, rebirth, and redemption. Christina says “Jemisin’s first collection of short stories is destined to make it on all kinds of bestseller lists. 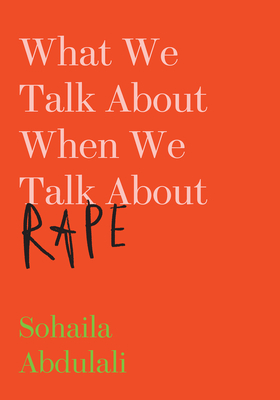 Her stories are incredibly imaginative and exciting. Who wouldn’t love a story about dragons and spirits in a Katrina-flooded New Orleans though?” And Tomoko says “As someone who grew up reading old Writers of the Future collections, these stories fill a void left open for far too long. Four stories in, and I can’t get over Jemisin’s voice and style—her stories pack punches that provoke thought and inspire hope. 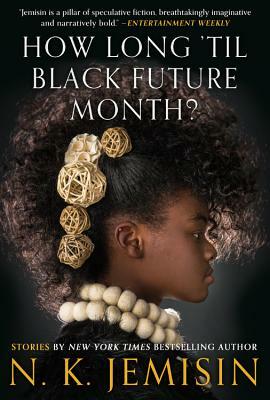 I can’t wait to read the rest!” Any fan of science fiction will love How Long ’til Black Future Month. 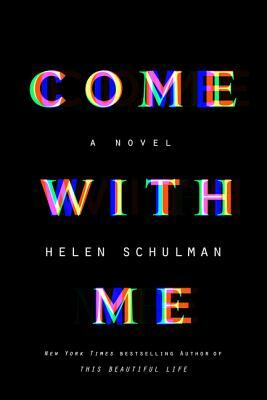 From Helen Schulman, the acclaimed author of the New York Times bestseller This Beautiful Life, comes a mind-bending novel set in Silicon Valley that challenges our modern constructs of attachment and love, purpose and fate. Taking place over three non-consecutive but vitally important days for characters Amy, Dan, and their three sons, Come with Me is searing, entertaining, and unexpected—a dark comedy that is ultimately both a deeply romantic love story and a vivid tapestry of modern life. 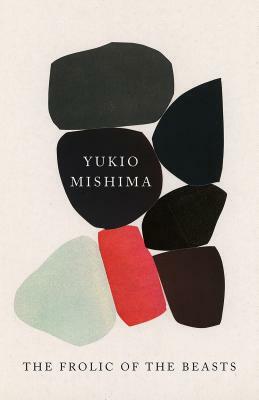 The Frolic of the Beasts, translated into English for the first time, is a gripping short novel about an affair gone wrong, from the acclaimed Japanese author. Set in rural Japan shortly after World War II, The Frolic of the Beasts tells the story of a strange and utterly absorbing love triangle between a former university student, Koji; his would-be mentor, the eminent literary critic Ippei Kusakado; and Ippei’s beautiful, enigmatic wife, Yuko. When brought face-to-face with one of Ippei’s many marital indiscretions, Koji finds his growing desire for Yuko compels him to action in a way that changes all three of their lives profoundly. Originally published in 1961 and now available in English for the first time, The Frolic of the Beasts is a haunting examination of the various guises we assume throughout our lives, and a tale of psychological self-entrapment, seduction, and murder. On our shelves now!